Why have a 14.5 Inch Barrel on Your Rifle? 14.5″ barrels are a popular way to get a slightly shorter rifle without having to go through the NFA process for a SBR and paying for a $200 tax stamp. In 1934, the American government deemed rifles with barrels shorter than 16 inches too dangerous for average citizens to own, among other things like suppressors or shotguns with barrels less than 18 inches. So the National Firearms Act (NFA) was passed, requiring various firearms, like short barreled rifles (SBRs), short barreled shotguns (SBSs), and suppressors to be registered with the ATF along with a $200 tax stamp. In addition to the fees, paperwork must be filed any time you move or travel out of state with the item and other hassles. Obviously not a fun process. Unfortunately, this means average citizens are limited by that 16 inches rifle barrel length restriction, making our rifle barrels more like (give or take) 18 inches barrels with the muzzle device unless we put up with the NFA process to create an SBR. This is why most AR-15s feature a 16 inch barrel. The NFA SBR process is a pain, so this is where “pinned and welded” 14.5 inch rifle barrels come into play. Why Have a Short Barrel on a Rifle? There are many legitimate and practical reasons for having a barrel shorter than 16 inches on an AR-15 or other rifles. Rifles can be large, and unwieldy in tight spaces – furthermore the larger the rifle, the heavier it is. Both size and weight are important factors for consideration in applications like hunting and smaller platforms are handier for home defense or in a truck gun. Not to mention simply bringing a rifle to and from the range is easier in a smaller package. Smaller framed gun owners, or even partially disabled gun owners, can better handle a lighter and handier rifle. So there are plenty of legitimate reasons to have a rifle with a shorter barrel. While shortening a barrel’s length does reduce the bullet’s muzzle velocity, the loss isn’t enough to be worried about for most applications. Some rounds, like .300 blackout, were even built specifically for shorter barrels. 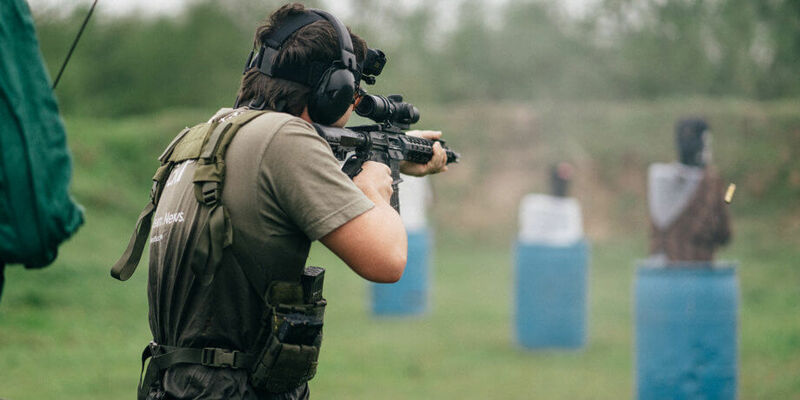 The pinned 14.5 inch barrel has increased in popularity lately as it allows rifle owners to have a slightly shorter rifle without getting an SBR or dealing with “pistol” wackiness from pistol braces. 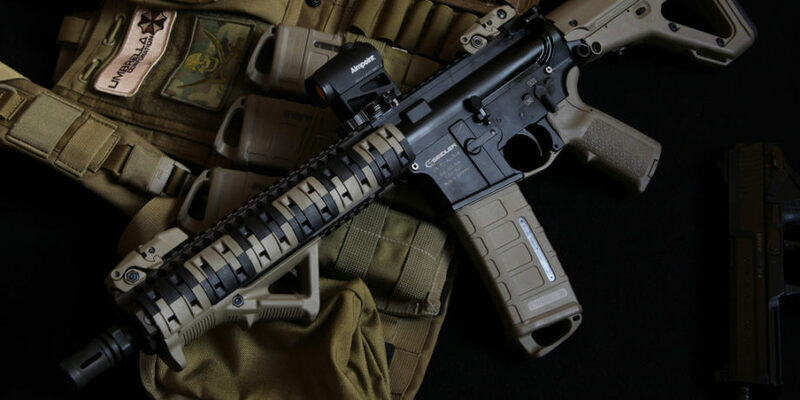 By permanently “pinning and welding” a muzzle device to the rifle’s barrel so it cannot be removed, the barrel length will exceed the NFA’s 16 inch requirement. But the important thing is this pinned 14.5 inch barrel will still be shorter than a 16 inch barrel with a muzzle device added to it. It’s a small length difference, but the difference is there. The key to keeping your 14.5 inch barrel from being treated like a legally defined SBR is to have a muzzle device that is at least 1.5 inches long permanently affixed to the rifle barrel giving it an overall length greater than 16 inches. Any competent gunsmith can pin a muzzle device to a barrel, and many firearm manufacturers are making 14.5 inch AR-15 upper receivers with a pinned muzzle device straight from the factory. The quality and integrity of your gunsmith is important with this process as a poor welding job might not be considered “permanent” to the ATF. So if you want an AR-15 or other rifle with a shorter barrel, but don’t want to deal with a pistol brace, consider getting a 14.5 inch barrel and pinning the muzzle device. I have one and the slight length change is handier than I expected. Pinning and welding a muzzle device to a barrel is not for the casual handyman or casual gun owner. It requires specialized tools and experience with those tools. 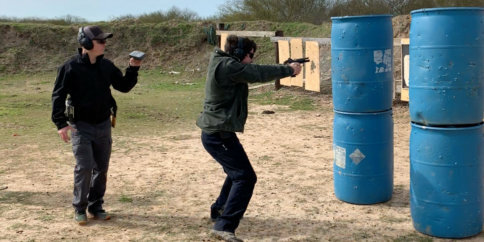 If you don’t have the proper skills and tools, it’s best not to try this at home or you risk turning your barrel into an expensive poking rod. Even if you don’t have the skills and/or tools to pin and weld your own 14.5 inch barrel, it is an interesting and informative video to watch. It provides additional insight into how 14.5 inch barrels work on a rifle. It’s pretty easy to legally get an SBR, it simply requires a $200 tax stamp and waiting 6 to 12 months for the ATF to finish the paperwork so you can take possession of your property. 1 MOA guarantee .223 Wylde 14.5" barrel with a tuneable gas block. A deadly accurate 14.5" barrel from Daniel Defense. A deadly accurate barrel from Daniel Defense.